With climate change threatening our farms and food system, more and more Americans are doubting the promise of incremental reform, calling instead for bold, sweeping legislation to develop a carbon-neutral economy as soon as possible. For some, the Green New Deal holds this promise. But what does this resolution actually say about agriculture? Who from the farm community is at the table helping to develop its details? And what can we—farmers, ranchers and advocates of regenerative agriculture—provide to policymakers to assure their efforts are informed by those in the field? 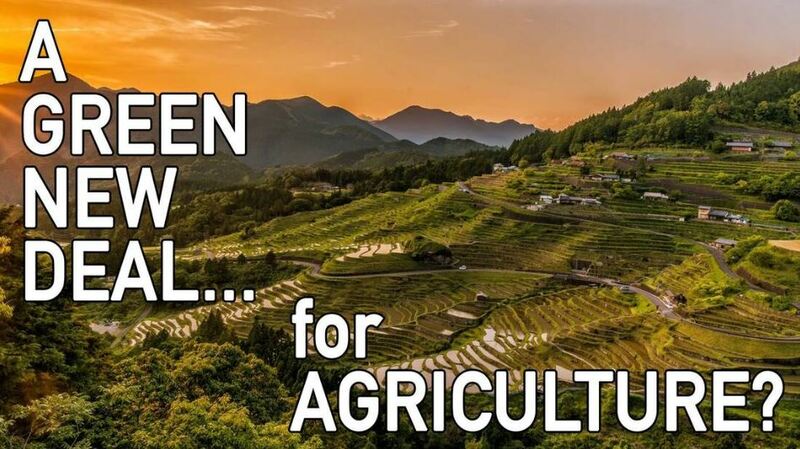 Join CAFF & The Farmers Guild for an interactive public forum asking: what would a Green New Deal need to include if it were to truly support family farms, regenerative agriculture and equitable rural economies? But the devil is in the details, yes? Unless we write them. The goal of this evening is to engage you, our community, in a robust conversation and develop a set of recommendations for our policymakers: food system and agricultural reforms needed to achieve the Deal’s admirable if still vague goals, as stated above. All are welcome, however attendees are asked to join us prioritizing the input of those working in the agricultural field.